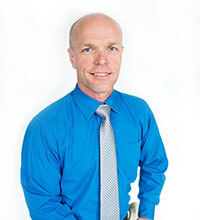 Shaun stays abreast of the latest treatments in his field through ongoing continuing education classes. His patients love him for his approachable style; he especially enjoys helping people recover from back pain, having overcome a severe back injury himself. He was born and raised in South Jordan, UT, and in his spare time he enjoys snow- and water-skiing, soccer, basketball, mountain biking, camping, hiking, playing guitar, photography and spending time with his wife and six children.